To the Borough of Metuchen for 20 years of commitment to the health and vitality of its town center. The Borough of Metuchen in Middlesex County is truly a center. Located in the densely developed northern half of Middlesex County, it is completely surrounded by Edison Township, one of the largest municipalities in the state; it is accessible by Route 1, Route 287, Route 27, the NJ Turnpike and Parkway; its train stop is in the middle of NJ Transit’s Northeast Corridor line. The borough’s accessibility to New York City and New Brunswick has made it a popular place to live since the turn-of-the-century. Main Street, which is the core of the town center, has been a place for local commerce since that time as well. All of these attributes give Metuchen a strong smart growth foundation; however, the community has worked hard to establish and maintain a thriving town center. It has engaged in steady, long-range strategic planning in order to address the changing demographic and land-use realities in the region, such as the development of the Menlo Park Mall within five miles of Main Street; the borough’s limited potential for new development (especially as compared to its neighbor Edison); a sharp decrease in its overall population – a 14 percent drop between 1970 and 1980; and vacancies in the downtown area. In 1981, Metuchen in partnership with a Rutgers University urban design studio produced “Metuchen 2001,” an analysis and plan for the downtown area. The partnership looked at land use along and adjacent to Main Street. In order to create a more active downtown, Metuchen amended its zoning ordinance to authorize residential units above retail in order to put people closer to the train and other transit options as well as to bring life to the area after business hours. They changed the Master Plan to encourage pedestrian traffic, too, highlighting ways to make the community more walkable and interconnected. A public/private Main Street partnership was also formed to make improvements to the streetscape in the downtown, to make it safer and more inviting for residents and shoppers. The borough continued to pursue and maintain its focus on smart growth focus. In the mid-1990s, still faced with considerable vacancies in the downtown, the community decided to make good design and the improvement of the built environment a priority by creating new design and review standards. Today, the site design, architectural, landscape, streetscape and community character of built projects in Metuchen are all shaped and directed by zoning, architectural design and landscaping guidelines, stringent streetscape standards and a “streamlined” design review process that is focused on implementing the community’s vision for a traditional town center. 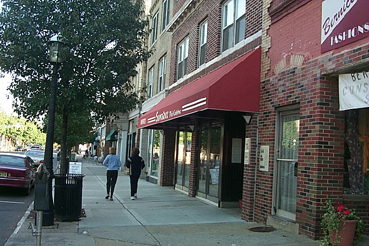 Metuchen has been successful in implementing its vision. It has fostered the redevelopment, infill and re-use of more than 100 acres of land that were formerly industrial/warehouse, auto dealerships, lumber yards, outdoor storage facilities, and which included a former school site, a decommissioned rail freight line and other outdated uses. Served by existing commuter rail, highway and utility infrastructure, these underutilized and abandoned tracts have been replaced with more than 200,000 square feet of mixed-use, office, commercial and civic space, a wide variety of more than 500 market-rate and affordable residential units (within 10-minute walk of the train station) and new parks, public spaces and a regional greenway system. Within several years of implementing streetscape improvements in 1984, the Borough saw the majority of its Main Street retail frontage improved with fa×ade renovations, rehabilitation and upper floor conversions, changes worth millions of dollars in reinvestment and revitalization. Smart Growth development and implementation have added more than $30 million in new tax ratables during the past two years alone. 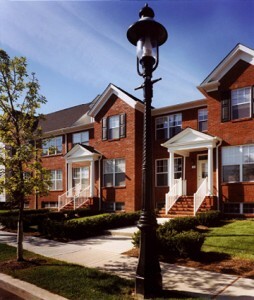 Metuchen recognized the advantage of working with the state and was officially designated a “Town Center” in 1996 and a “Transit Village” in 2001. The borough has also been creative in attracting funding from various public sources to support its smart growth program. Sources include: TEA 21, Local Aide to Centers, Smart Growth Planning Grants, Transit Village program, Livable Communities Grants, Middlesex County Economic Development Authority, CDBG funds, Keep Middlesex Moving, the Attorney General’s Office of Highway Safety, the Adopt-a-Station program and concierge program and jitney service grants from NJ TRANSIT. A major campaign focusing on sidewalk, bikeway and traffic calming improvements has increased pedestrian activity and bicycle usage by enhancing safety for the elderly, children and those unable to drive. As a result, last year, the Robert Wood Johnson Foundation’s Active for Life program funded “Walk Metuchen,” one of the first such grants in the nation to recognize a municipality’s Smart Growth efforts and the resultant impact community walkability has on public health. With a strong focus on revitalizing its town center over the past two decades, the Borough of Metuchen has shown itself to be a statewide leader in smart growth. It serves as a model for other towns where a complacent “status quo” strategy may result in long-term stagnation and slow decline. Transit-oriented development, center-based economic development, mixed-use redevelopment, selective infill, adaptive re-use, traffic calming and a rail-to-trail greenway – all of these have been initiated and implemented by Metuchen’s long-standing objective of promoting center-based development, balancing change with preservation of what makes the community unique. Metuchen’s proactive public policy, planning and implementation demonstrate that established communities can add vitality and vibrancy, while preserving overall community character and enhancing the quality of life.